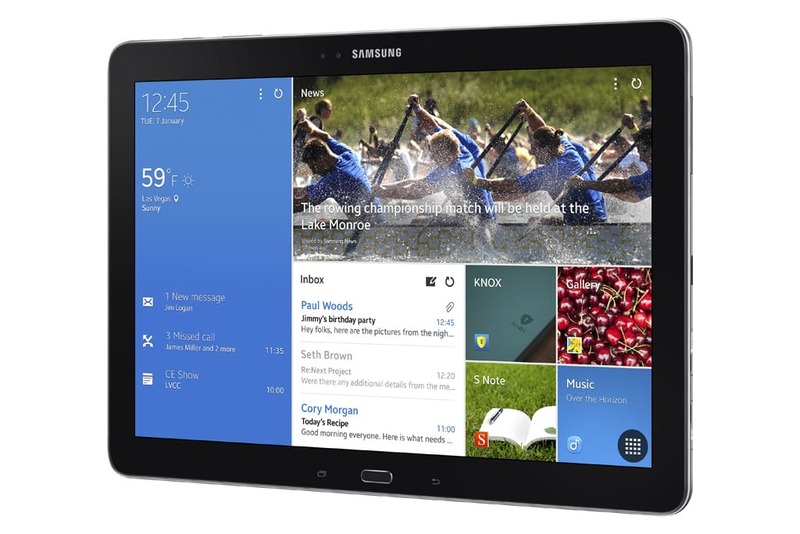 Samsung's latest and biggest Android tablet, the Galaxy Note Pro 12.2, will be launching in the UK next month. Retail price for the base model (32GB storage and Wifi) has been set at £649 (or about $1,075 USD). It's scheduled to ship on 4 February, and buyers that pre-order the tablet will also get a free Gamepad, which otherwise retails for £59. With its huge screen, stylus, and svelte size, the Samsung Galaxy Note Pro was one of the highly anticipated launches of CES 2014, and it did not disappoint. I saw it myself, and it was thinner and lighter than I would have believed possible, and I am still trying to figure out how Samsung pulled it off. This tablet has a 12.2" screen with a resolution of 2560 x 1600. Underneath that screen runs Android 4.4 Kitkat on a 1.9GHz Exynos 5 Octa CPU with 3GB RAM, 32GB Flash storage, and a pair of cameras (8MP and 2.1MP). In terms of connectivity it will have Wifi, Bluetooth, an IR blaster, and optional LTE. There's no info on when the LTE model will ship in the UK, and there's also no info just yet on a US ship date, but never mind that. The more interesting question today concerns the price of this tablet, and whether anyone will take out a mortgage to pay for it. Why yes, a retail price of £649 is as expensive as it sounds; the iPad Air retails starting at £399 in the UK; a 32GB/Wifi model will set you back £479. In comparison, you can find 8" and 10" Windows 8 tablets in the UK with prices starting at £474 for a 10" model from Dell. There aren't very many Android tablet as big as the Samsung Galaxy Note Pro 12.2 and none are nearly as nice, which means that Samsung doesn't really have any direct competition in the market. Even the Archos model is more of a budget tablet than the premium tablet Samsung plans to sell, but the Windows tablets can be quite nice (if not for the fact they run Windows 8). I could be looking into the wrong magic 8-ball, but it's my guess that the high price of the Galaxy note Pro 12.2 is probably going to drive away buyers. IMO it's hard to justify £649 when you can get 2 very nice tablets for that price. Digital Content Reseller ReDigi Awarded Patent for, Guess What? Even the phablet phones that Samsung produce only make up a small number of customers (about 10% of their ship rate based on December figures) so they probably think price isn’t a factor. If you want a big tablet you’ll get one. I’d venture to imagine it will probably run more like $700 to $800 if it gets released in the US. Everything is more expensive in the UK. Any specs on Battery size/life? 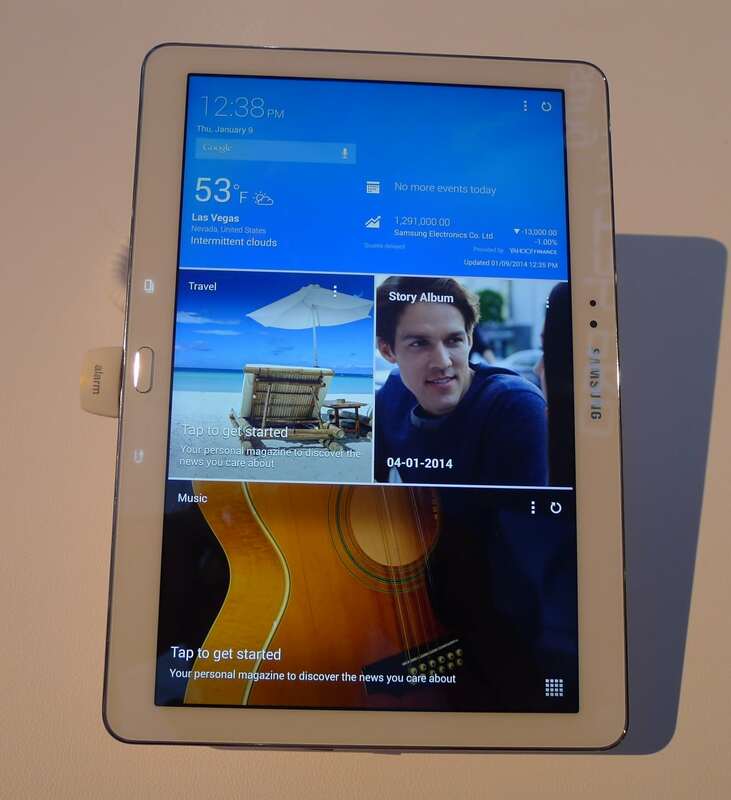 Not yet, but Samsung’s tablets usually have excellent battery life. Yes, but the iPad Air goes up to $799 (that’s $300 just for an extra 96Gb of Storage, and people DO pay); or up to $929 with LTE. The point is that there is a class of consumers, quite different than the rest of us, that does not care how much the device costs; they want “the best” or whatever is perceived as being the best at that particular time. That kind of consumer, and most probably one that is already “hooked” on the Samsung Galaxy S4 Experience, might very well be tempted to switch from their “old” iPad, if they haven’t felt enough incentive to buy the “new” iPad Air yet. So we go back to the question: is it just as good, or is it “better” than the other top tablets that are already in the market today? Does it bring something new (also a factor), like size/speed/OS/features, or is it “more of the same”? Yes, but the iPad air starts at $499.